A young couple find their remote new home house mencing demons. This film could be succinctly summed up with a one-liner: A cabin in the woods with demons. Given that summary, all horror fans will be envisioning and expecting Evil Dead; they wouldn't be far off the mark (there is even a scene in which a newly demonised character licks a scissor blade in a move reminiscent of the knife licking scene in the Evil Dead remake) but unfortunately while Bornless Ones has its moments, it is nowhere near the monumental classic that Evil Dead is. Young couple Emily (Margaret Judson) and Jesse (Devin Goodsell) and their friends Woodrow (Mark Furze – good) and Michelle (Bobby T) are taking Emily’s brother Zach (Michael Johnston – also good) to an institution, as he is suffering advanced cerebral palsy and she can no longer care for him. Before the difficulties inherent in that decision can be realised, they have opted to move to a country cabin near where he will be housed so they can be close to him; and as this weekend is the last one they’ll have together, they want to make it a good one. Stopping for gas on the way they meet the colourful local station attendant and then their over-exuberant real estate agent, who informs them the last tenant left in a hurry and all her belongings are there for the taking. Once they move in, the demons also attempt to move in – into Zach’s body, as they promise healing to the infirm, and that’s an offer too good for him to resist. When the others find him walking the next morning it seems a miracle, but that good fortune quickly turns to very bad as the demons inhabiting Zach (and even the house and woods themselves) know all your secrets – and just how to use them against you. There are some fresh ideas here; the notion of demons targeting those who are unhealthy and using their desire to be well again, is a good one. Having demons manifest your sins and the things you feel most guilty about reminded me of Flatliners in that ‘we all pay for what we’ve done in the end’ way, and it was nice to see this used in a horror. Alexander Babaev, who only occasionally overuses his in-camera effects and mainly is a point-and-shoot guy who favours close ups, directs Bornless Ones competently, if in an uninspired fashion. The special effects themselves are not too bad considering the budget, though the ‘smoke demons’ could have done with a bit more polishing (and explanation). Script wise, this has a welcome sense of humour that caused me to laugh out loud once or twice before the second half where it decided to take itself a little more seriously than the source material required and the lightness was abandoned. However, I like that the script doesn’t shy away from subjects such as work pressures, familial obligations and responsibilities, and the effects of disability. The biggest mis-step (as it is for many indie movies) is the casting, with the two main actors far less effective in their roles than the supporting actors. The acting is of the passable variety for the most part; the players are not bad and quite personable with the regular scenes but wincingly unconvincing when it comes to selling extreme emotions such as sadness, fear or pain – horror movies' bread and butter. The characters' tendency to respond to physical agony with unsettlingly orgasmic sounds rather than howls of true pain is more awkward than scary; their ‘terror’ mainly expressed with muted “oh no”s rather than abject horror. It’s a pity, as those scenes are sold on our ability to believe in them, and if the performances aren’t there, then all is lost. 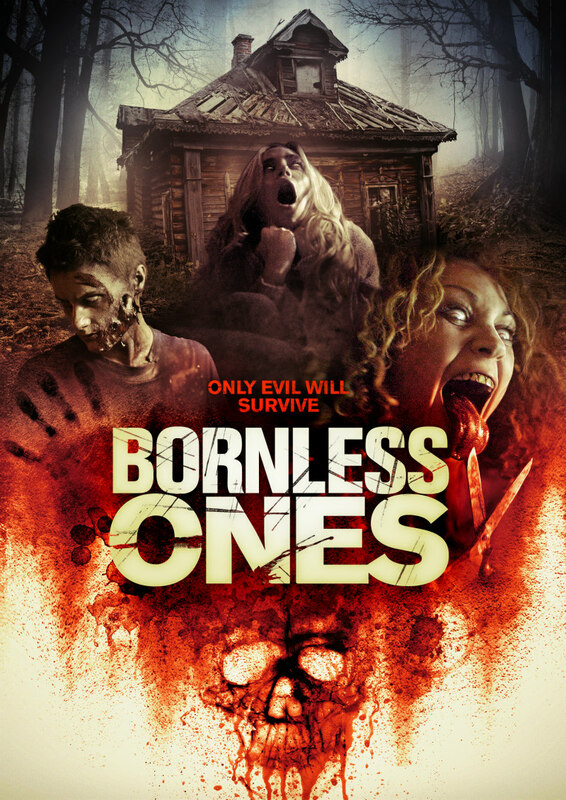 Bornless Ones is available on VOD February 10th, with a limited US theatrical run on the same date.